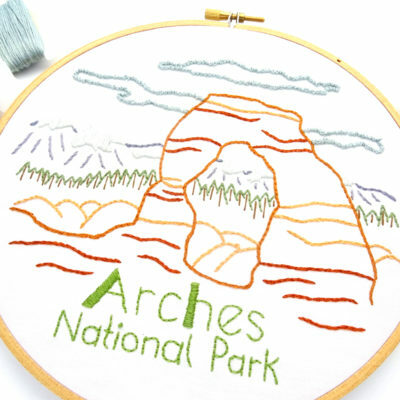 Imagine if you will a wide, deep canyon filled with crimson colored rock spires, natural rock bridges and layers of striped sandstone interspersed with weather-worn Bristlecone Pines and twisted Juniper trees. 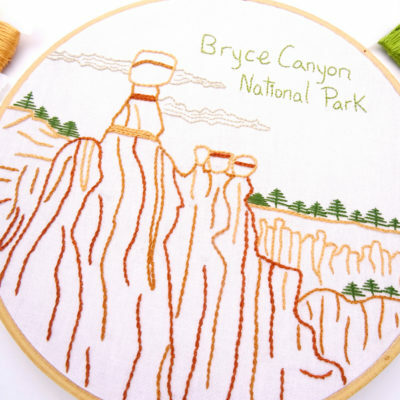 This is Bryce Canyon National Park. 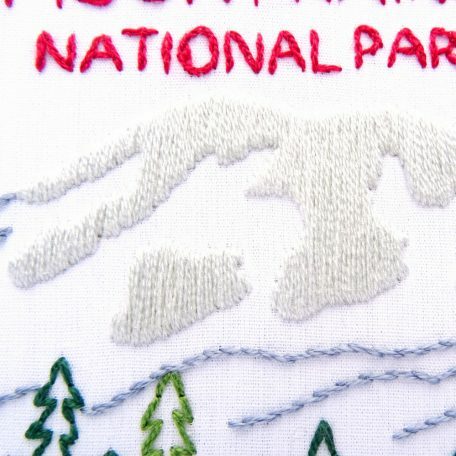 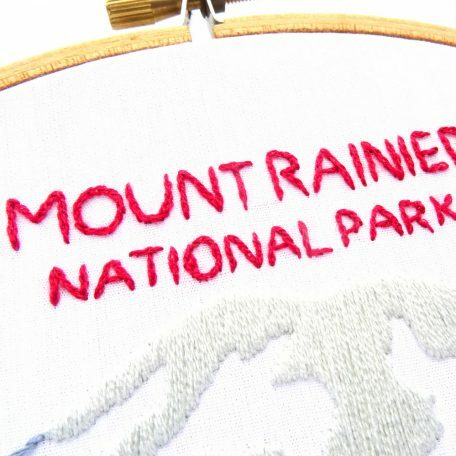 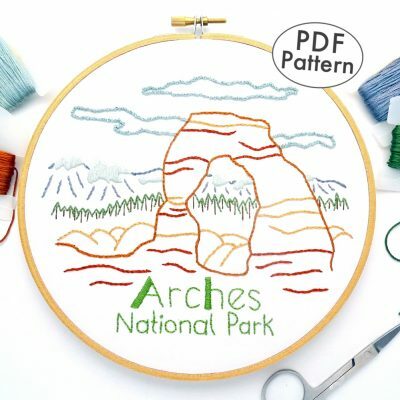 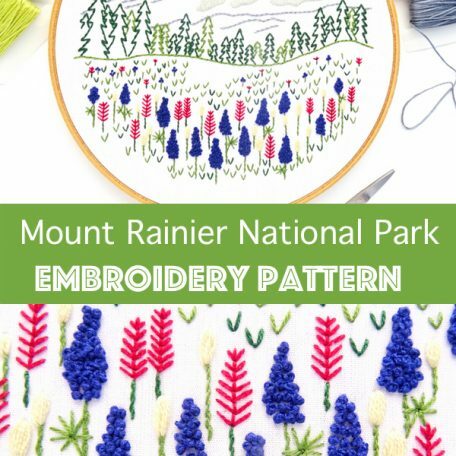 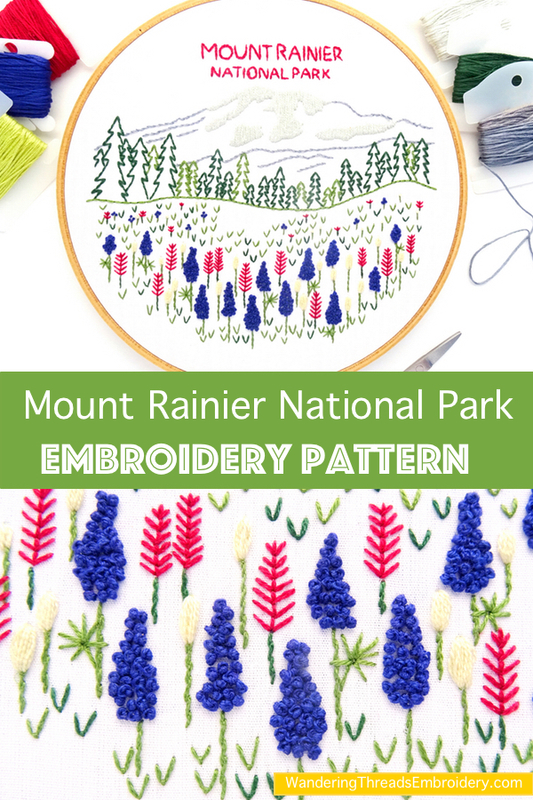 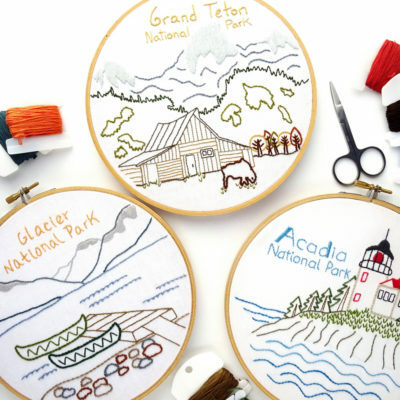 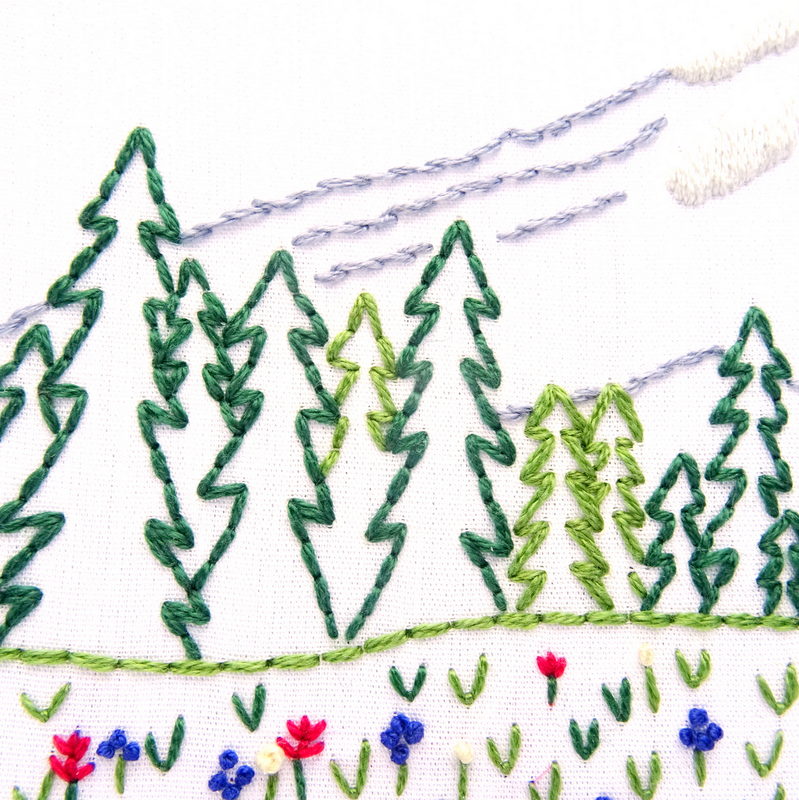 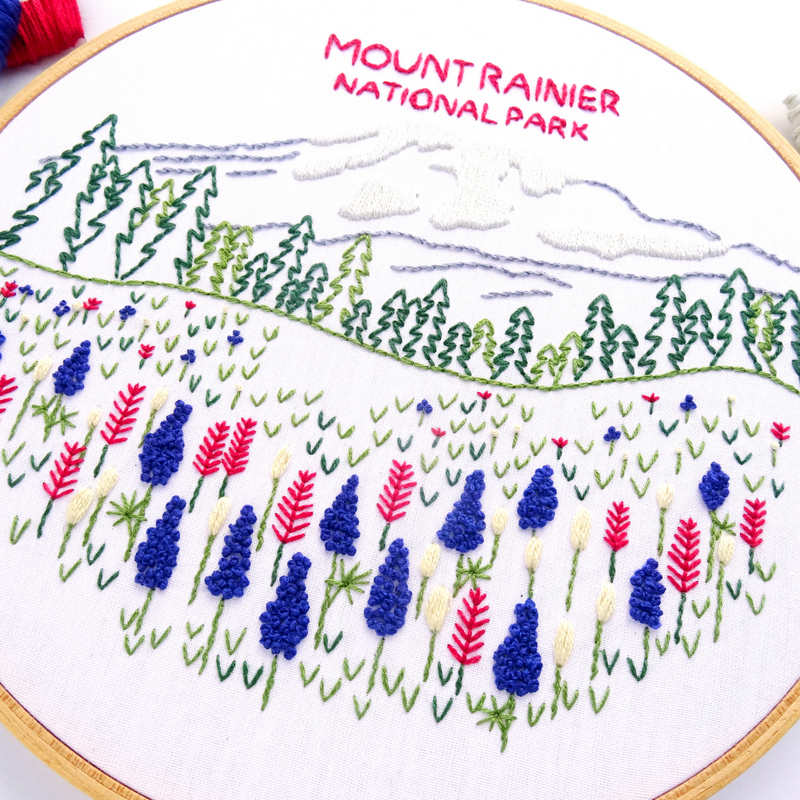 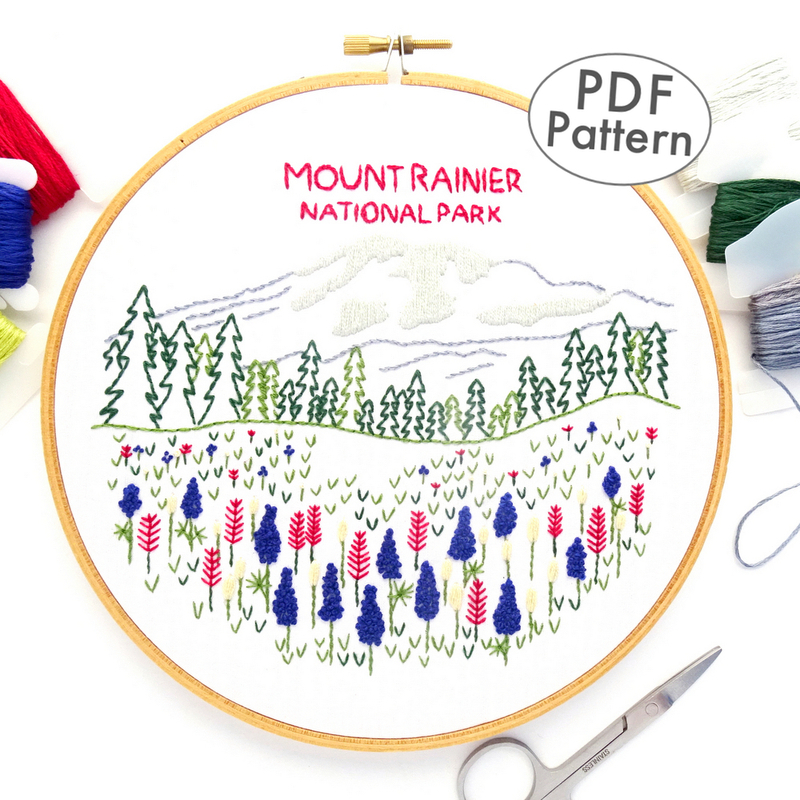 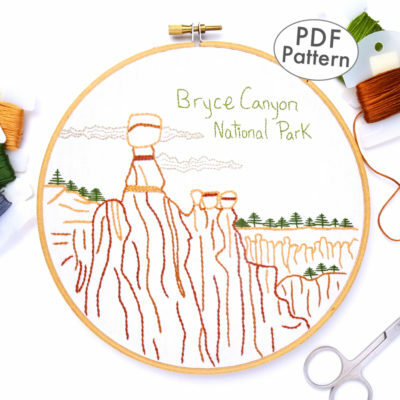 Capture the grandeur of one of Utah’s most stunning national parks in this simple, yet detailed embroidery pattern. 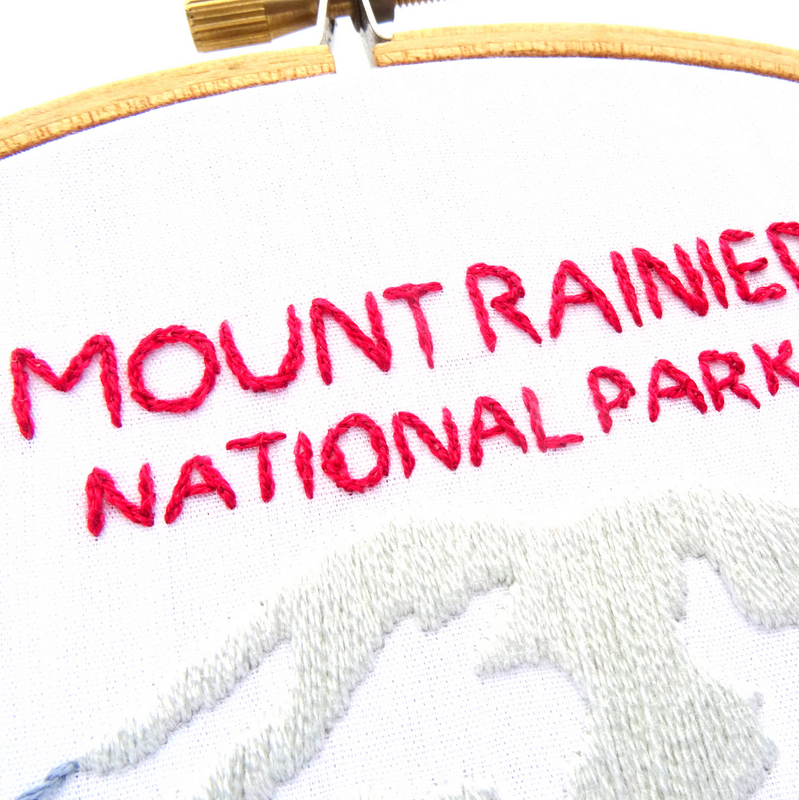 Everglades National Park protects 1.5 million acres of Florida’s southern tip. 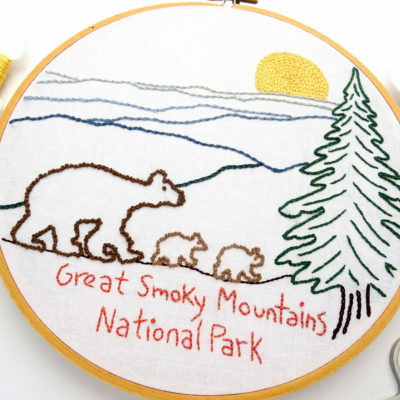 As the largest subtropical wilderness in the United States, the park provides habitat for many rare and endangered species. 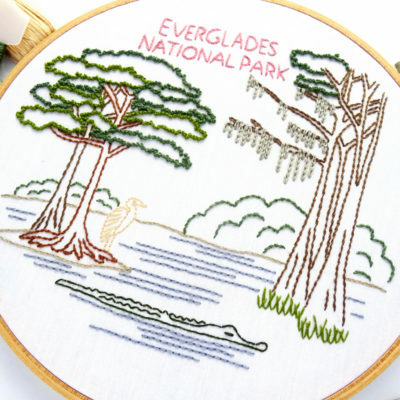 A visit to the Everglades practically guarantees that you will see abundant wildlife, including alligators and a variety of tropical birds. 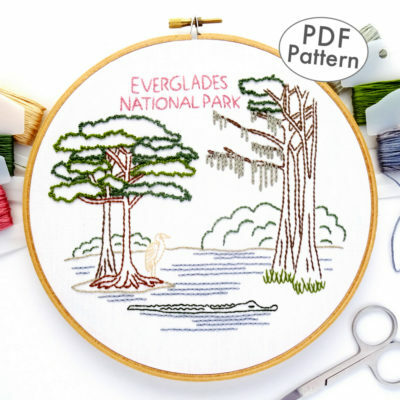 Take yourself on a tropical vacation with this hand embroidery pattern featuring trees dripping with moss, a long-legged bird ready to take flight, and a sneaky gator lurking in the water. 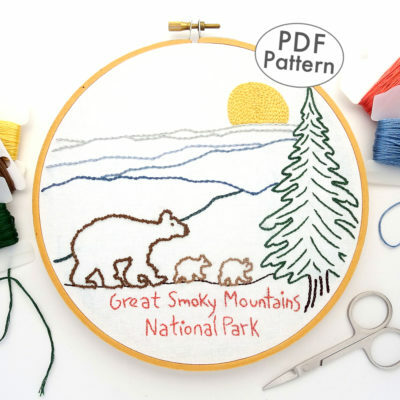 Using only a handful of basic stitches, this pattern is surprisingly simple and is suitable for both beginners and experts alike. Create a work of art that celebrates the magnificence of Yellowstone National Park. 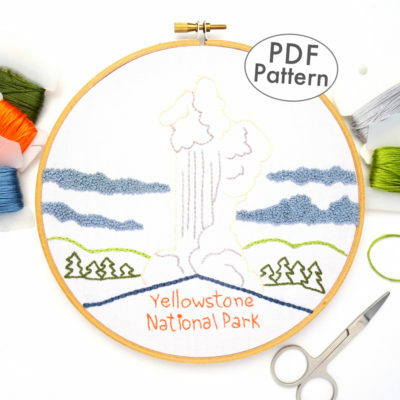 Featuring the most popular attraction in the park, Old Faithful, set against a backdrop of fluffy clouds, evergreen trees, and rollings hills. 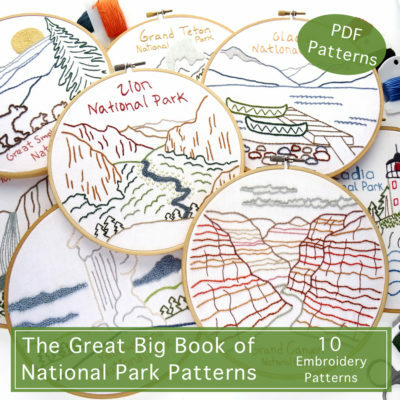 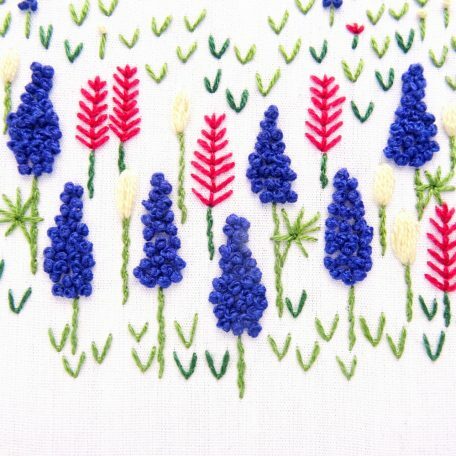 Designed with simplicity in mind, this pattern is perfect for novice and experts alike. 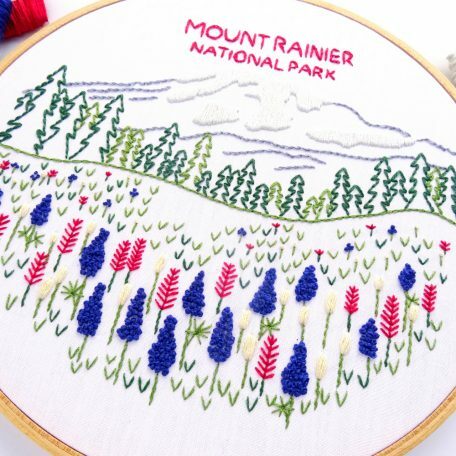 From the dramatic peaks of the Olympic Mountains to the dense rainforests and rugged stretch of coastline, Olympic National Park is a sprawling natural wonderland. 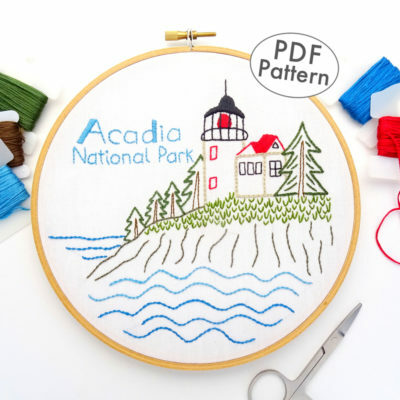 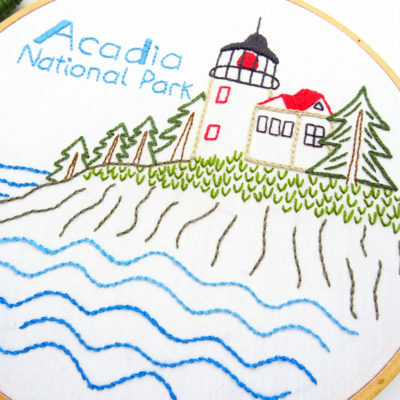 This one of a kind embroidery pattern features a classic scene from the coastal region. 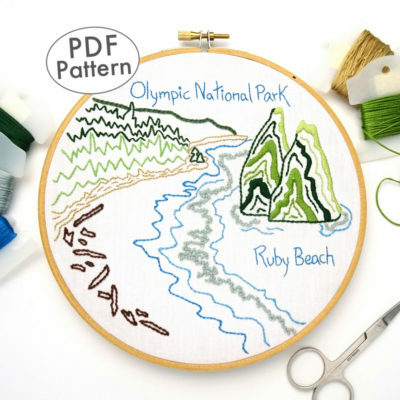 Ruby Beach is located on the dramatic northern coast of the Olympic Peninsula. 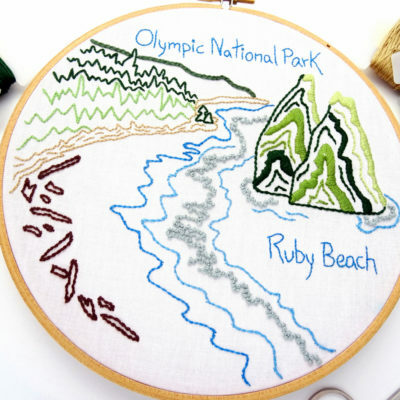 It is best known for massive waves, tidal pools, and huge rocks called Sea Stacks that stand like sentinels just offshore.